Classroom Progress…One Step Forward, Two Steps Back! Today I spent most of the day in my classroom trying to make sense of the chaos. Why is it that some people getting their rooms ready appear to be in complete control and my room looks like a crime scene? Sigh. I thought I’d share a few pics of what’s been going on–and I have deliberately left out shots of the entire room so you don’t call the authorities. 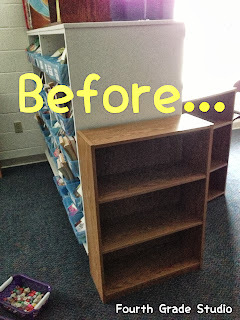 This is the shelf I am using for my “self-service” math supplies. 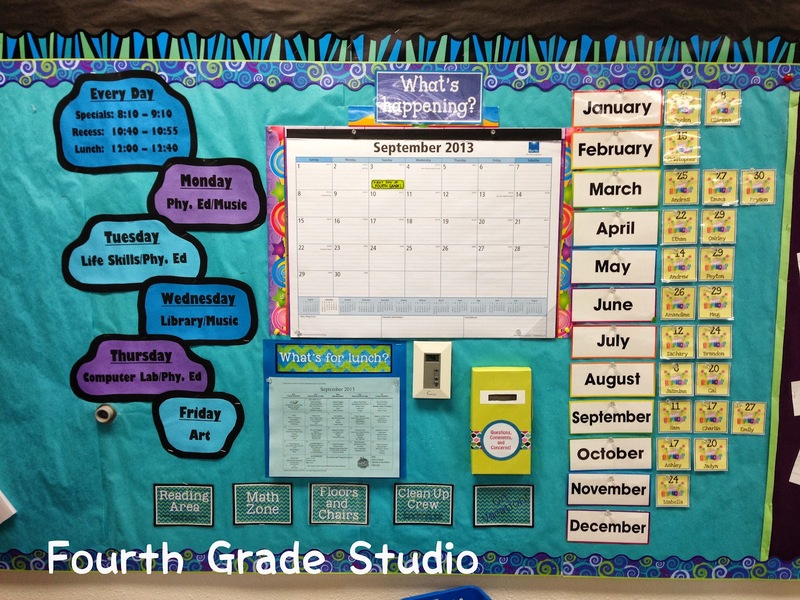 I want it facing into the room so students can access it easily. Here it is now! I have my set of drawers with math counters so students can easily take a drawer to their work space, bins of other important manipulatives that a small group might need, calculators, dice, and more. 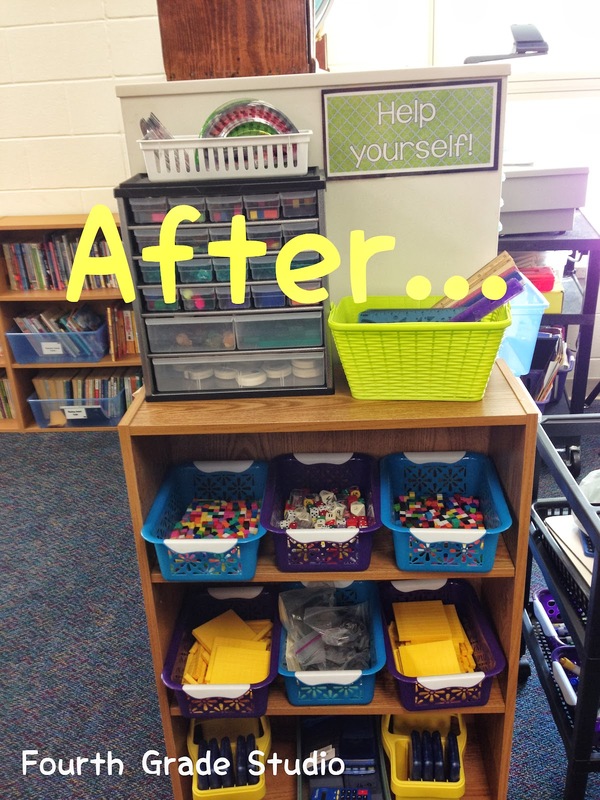 Notice the sign above–“Help yourself!” I want students to know WHEN they need “math tools” to help them and not have ME tell them or pass them out. Building independence will be a big goal this year! Here’s our “What’s Happening” wall . . . I may need to tweak it a little, but it has our specials schedule, our lunch menu, our job chart, our birthday graph, and our “questions, comments, and concerns” mailbox. This is new for me this year! 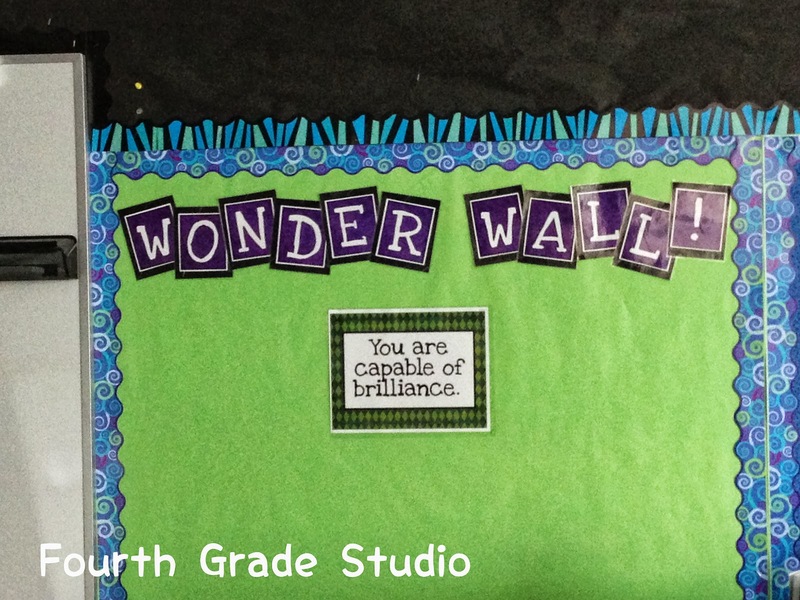 As I’ve been reading about and planning to implement the “Genius Hour” this year, many teachers I have seen have a “Wonder Wall” in their classroom for students to post interesting questions, photos, articles about cool stuff, and anything else that might trigger an idea for research. I want to add some things to it before school starts to model it. 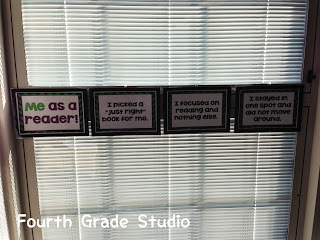 Here’s where I posted my mini posters (only 4 of the 8 shown) about becoming independent readers. 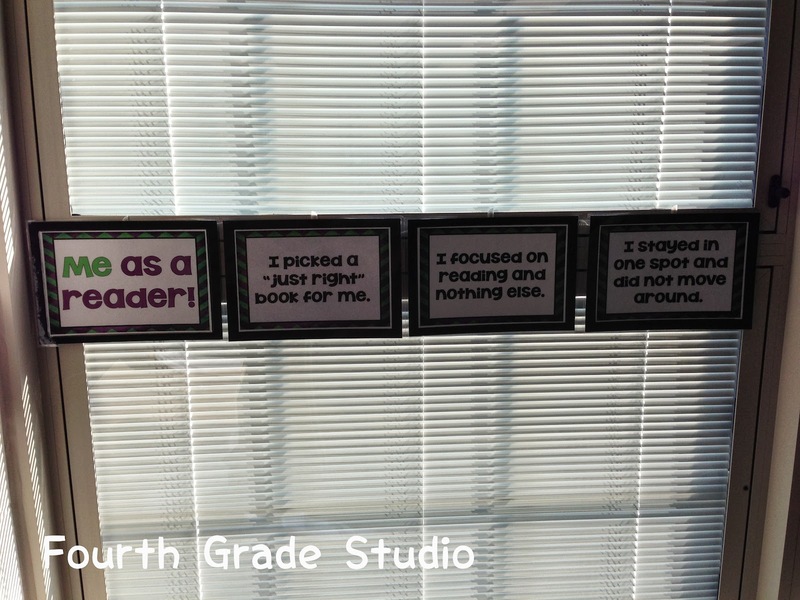 I can take them down as needed to highlight for minilessons. These windows are right in my reading area. 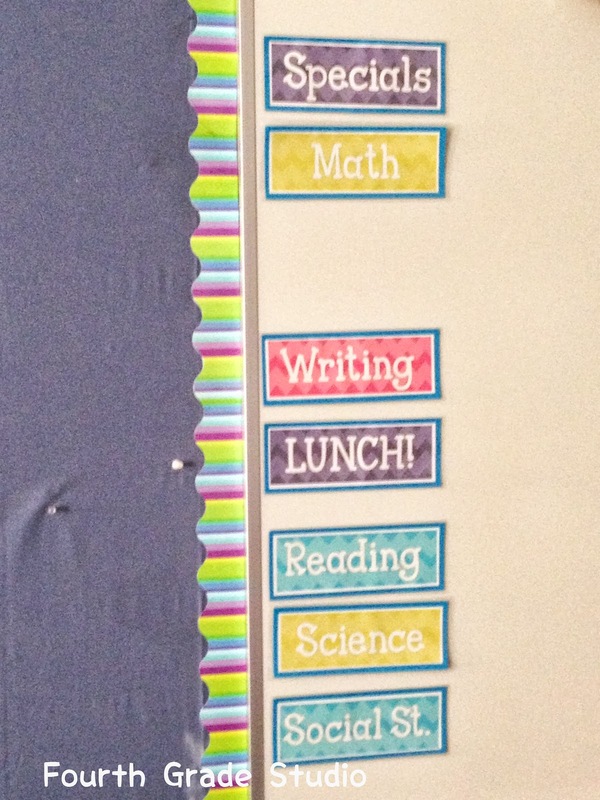 I printed, laminated, and “magnetized” these headings for my daily schedule. I haven’t used these for years and have just written out the entire schedule. Because our schedules are the same each day now, I thought I’d go back to this approach–and it gives me a chance to use some of the cool digital paper I bought the other day at the sale. Wink. So . . . what I am NOT showing you is the decision to tear down a huge section of bulletin board paper that stretches ALL the way across the top of my room. I’ve had it up for 6 years and it is looking a little rough. I have avoided dealing with it for about 3 years because it is a huge undertaking. I bit the bullet and only got it 1/2 finished. My classroom was sweltering, and I simply gave up. 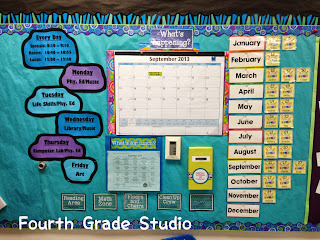 My desk groups are loaded with tubs, bins, boxes, piles, scraps, empty soda cans, snack wrappers, and the remote control. Today I am home doing some volunteer work for my son’s band and dealing with some other “home stuff”, but I’ll tackle some more tomorrow. 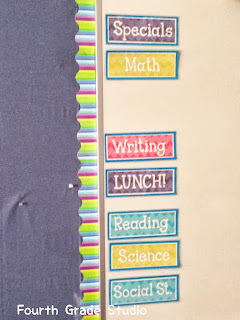 For those of you back in your classrooms–I hope your first days/weeks are going well. For those of you who are organized and feeling good about your progress, please refrain from judging me. For those of you who can relate, crack open a can of soda and grab a bag of chips and know you are NOT alone. Just a reminder about the great Educents bundle for sale for the next week or so! I have gotten to see MANY of the products, and they are fantastic! Here is the link again in case you are interested.